Coming off one of the series strongest seasons yet, HBO's hit series Game of Thrones is set to begin production on its seventh season. HBO has confirmed that the new seasons of Game of Thrones, Silicon Valley and Veep. They will debut back-to-back on SUNDAY, APRIL 24, starting at 9:00 p.m. (ET/PT). Jon Snow is struggling to balance the demands of the Night’s Watch with those of the newly arrived Stannis Baratheon, who styles himself the rightful king of Westeros. Meanwhile, Cersei scrambles to hold on to power in King’s Landing amidst the Tyrells and the rise of a religious group led by the enigmatic High Sparrow, while Jaime embarks on a secret mission. 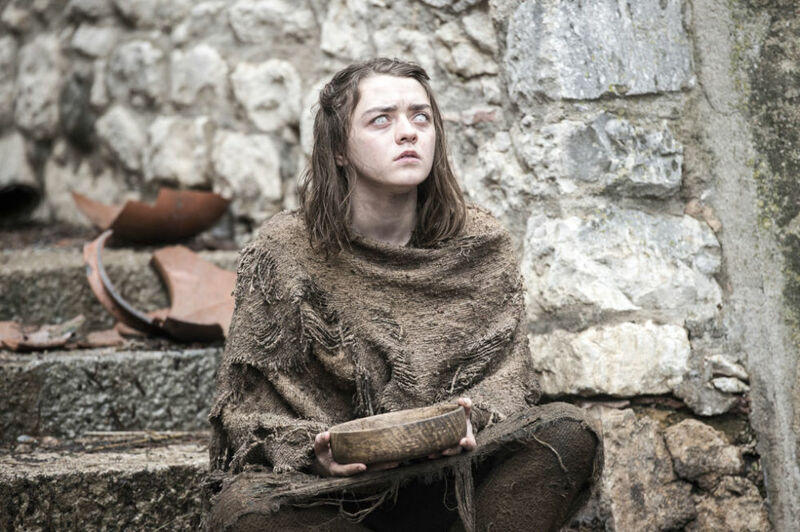 Across the Narrow Sea, Arya seeks an old friend and a fugitive Tyrion finds a new cause. And as danger mounts in Meereen, Daenerys finds that her tenuous hold on the city requires hard sacrifices. In an unprecedented move, Game of Thrones® will premiere in over 170 countries and territories across the globe simultaneously with HBO’s U.S. airing on Sunday, April 12 at 9:00pm ET, it was announced today by HBO. The entire fifth season of the Emmy®-, Golden Globe®- and Peabody®-winning series will be simulcast to HBO branded networks and broadcast partners across the world, creating a global television event week after week throughout the season’s 10-episode run. HBO has confirmed that the new seasons of GAME OF THRONES, SILICON VALLEY and VEEP will debut back-to-back on SUNDAY, APRIL 12, starting at 9:00 p.m. (ET/PT). GAME OF THRONES begins its ten-episode fifth season SUNDAY, APRIL 12 (9:00-10:00 p.m.). Based on the popular book series “A Song of Ice and Fire,” by George R.R. Martin, this hit Emmy®-winning fantasy series chronicles an epic struggle for power in a vast and violent kingdom. The ensemble cast for the fourth season included Emmy® and Golden Globe winner Peter Dinklage, Lena Headey, Emilia Clarke, Nikolaj Coster-Waldau, Kit Harington, Natalie Dormer, Maisie Williams and Sophie Turner. Executive producers, David Benioff, D.B. Weiss, Carolyn Strauss, Frank Doelger, Bernadette Caulfield; co-executive producers, Guymon Casady, Vince Gerardis, George R.R. Martin. When HBO says that its hit series Game of Thrones is the one of the biggest shows today, they aren't joking. For the first time ever, a television show will be screened in IMAX theaters. HBO will be screening the final two episodes from season four in 150 IMAX theaters starting on January 23rd and running through January 29th. After those episodes, the trailer for season five will then be shown. In coming days, fans can log onto www.imax.com for screening information and to purchase tickets. There are going to be a ton of end of the year lists that will be coming out in the next week or so. Sometimes it's good to be on those list, sometimes not. We are sure that the folks at HBO aren't to crazy about the list that TorrentFreak.com just released. According to the site, for the third year in a row, HBO's Game of Thrones was the most pirated show of 2014 in the world. Earlier this year, the hit series set an all-time record when more than 254,114 peers shared the same torrent file simultaneously. Coming in second, yet still far behind, was AMC's The Walking Dead followed by The Big Bang Theory, How I Met Your Mother and Gotham rounding out the Top 5. TorrentFreak's data is estimated based on several sources, including download statistics reported by public BitTorrent trackers. Some outlets such as online streaming are difficult to track, so the numbers in the list could actually be much higher. HBO has renewed GAME OF THRONES for a fifth and sixth season, it was announced today by Michael Lombardo, president, HBO Programming. Based on the bestselling fantasy book series by George R.R. Martin, GAME OF THRONES is an epic story of treachery and nobility set on the continent of Westeros, where summers and winters can last years, and only the lust for power is eternal. The Emmy®- and Golden Globe-winning series launched its ten-episode fourth season Sunday, April 6 (9:00-10:00 p.m. ET/PT), exclusively on HBO, with other episodes debuting subsequent Sundays at the same time. With the Season 4 premiere of its hit series Game of Thrones just around the corner, HBO has released the fourth and final trailer for the upcoming season. Season 4 of the Emmy-nominated HBO drama launches April 4. See the trailer below and get ready for what is to be a shocking and action packed season! 'Game Of Thrones' To End After Season 7? With the Season Four premiere of HBO's hit series Game of Thrones just around the corner, showrunners David Benioff and Dan Weiss talked to Entertainment Weekly about their plans for the show's conclusion. "If we’re going to go seven seasons, which is the plan, season 4 is right down the middle, the pivot point", said David Benioff. “I would say it’s the goal we’ve had from the beginning,” Benioff says. “It was our unstated goal, because to start on a show and say your goal is seven seasons is the height of lunacy. Season 5 of Game of Thrones premieres on April 6th.